The kids can come too, and be supervised at all times. Register ASAP to avoid missing out. *Days & times for private Lessons are subject to availability, please contact Peter to schedule classes. Squad training - advance learning & match-play Suitable for A & B grade juniors. Contact Peter for days, times and costs. School Holiday Programs Offered during school holidays. Contact Peter for further information about dates, time & costs. Players are actively engaged, excited & motivated to participate. Players build social skills working with partners, building friendships, encouraging teammates & showing sportsmanship. Get your heart pumping Cardio Tennis is the total body workout that features on-court warm-ups, intensive cardio sessions and cool-down. It’s a fun group activity, featuring drills and games to give players of all abilities the ultimate high-energy workout. No tennis experience required. Sessions catered for men and ladies. Looking for something different for your child’s next birthday? Try a Tennis Party! 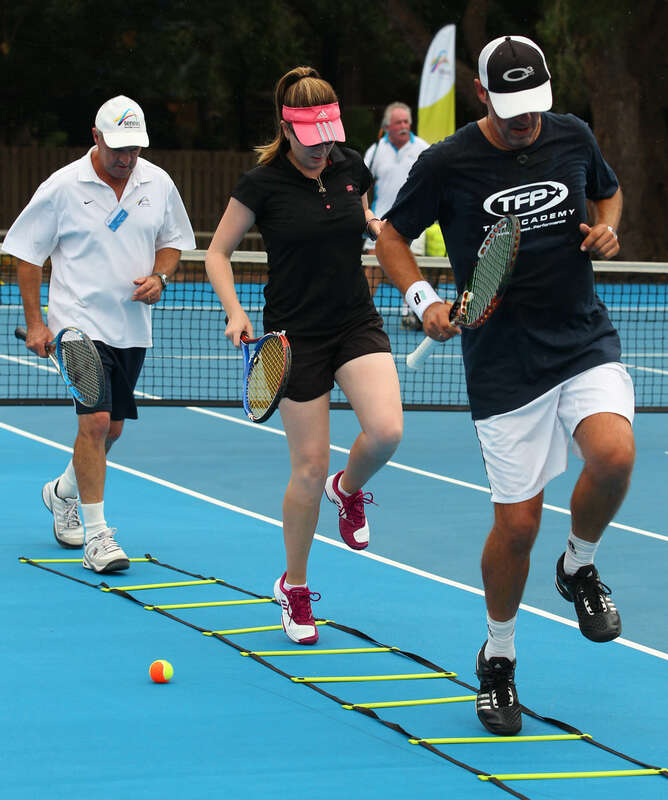 Fun games & tennis activities for all levels. The coaching staff will entertain the kids while you relax.